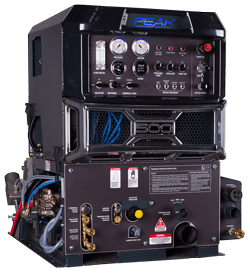 The Peak 500 truckmount features Kawasaki’s liquid-cooled 31 HP engine with digital fuel injection and 47.1 ft-lbs of torque – enough heat and vacuum to run a six-jet wand flat out. 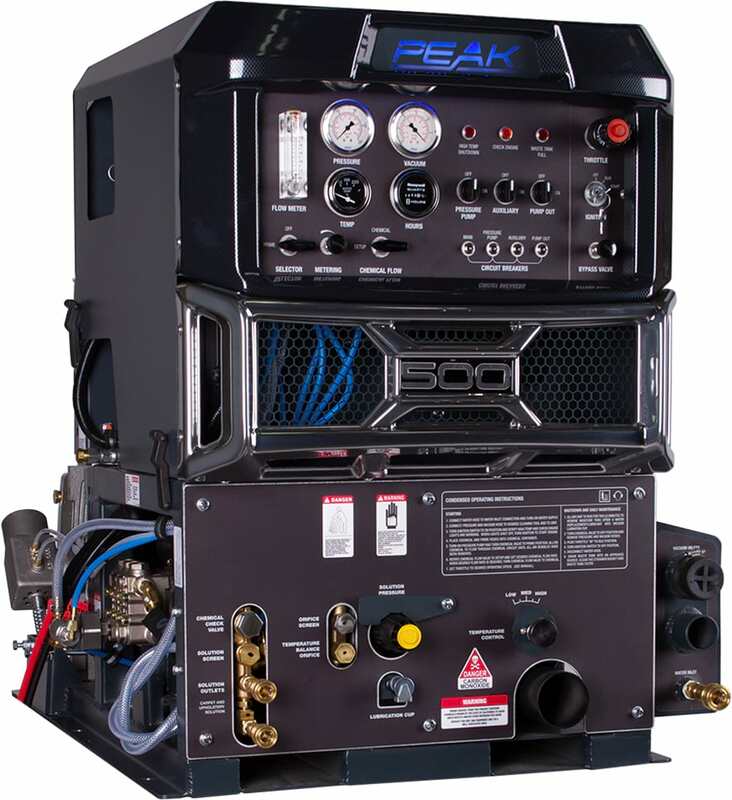 Heats fast but sips fuel at only 1 gallon per hour. This unit is a great value – the lowest cost CARBcompliant machine in its class.